BREAKING NEWS: KENYA UNDER TERRORIST ATTACK. 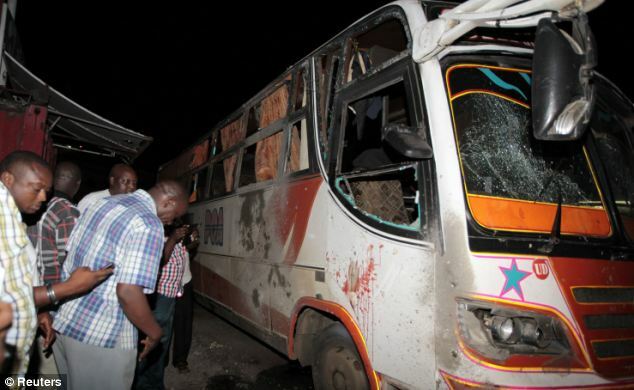 TWIN BOMB EXPLODES IN MOMBASA – PICTURES! The explosions happened simultaneously around 8pm and it is thought al Qaeda-linked Somali group al Shabaab is behind the attack. 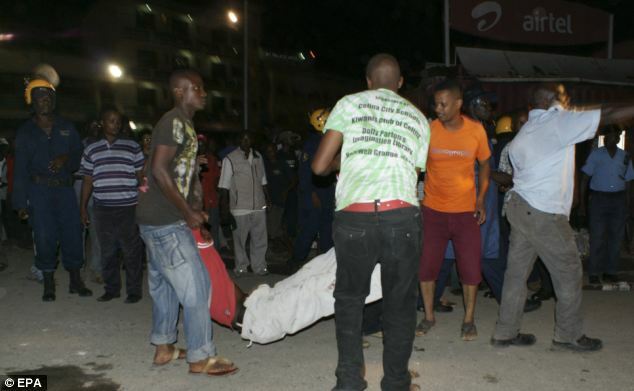 Four people are already confirmed dead and more than 20 injured last night after suspected terrorist bombs exploded in the Kenyan port city of Mombasa. 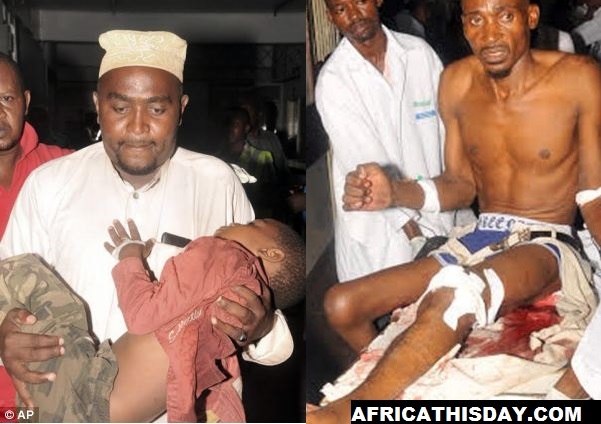 All the casualties occurred as a bomb ripped through a bus shelter in the Mwembe Tayari area, near the city centre. The other blast was at the Reef Hotel, in the Nyari area of the city, where senior police officials were attending a workshop. Kisauni district commissioner of police Tom Anjere said: ‘No-one was hurt or injured at the Reef Hotel but our concern is that senior security officers were there attending a workshop and they were clearly the target of the attack. No one claimed responsibility for the attack last night. Last year al Shabaab claimed it was behind the Westgate shopping centre attack, which killed 67 people in Nairobi. It has also been reported that Al shabaab is linked to Nigeria’s Boko Haram and the Al qaeda. 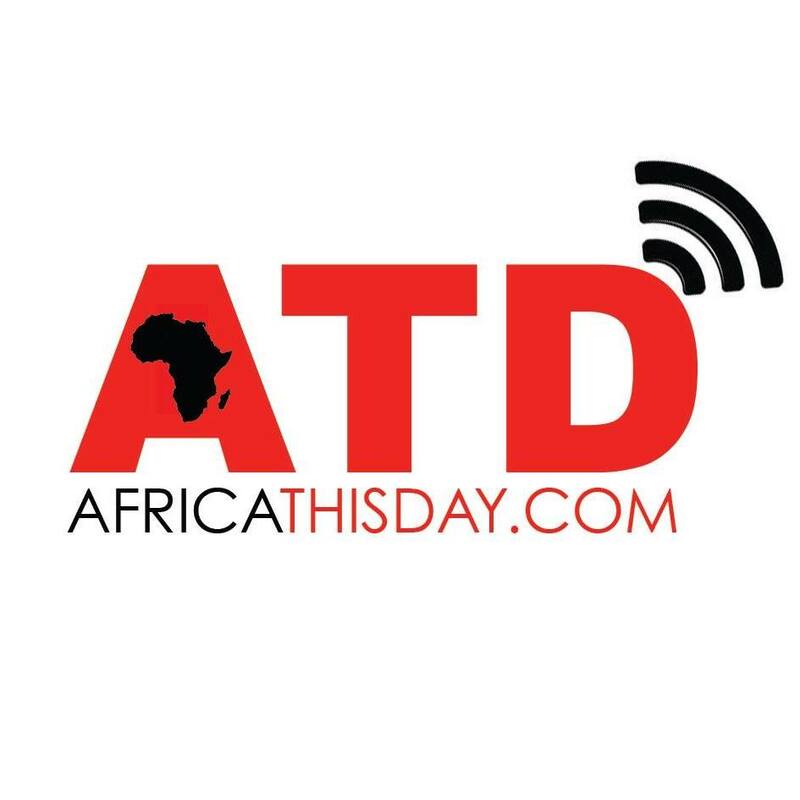 This entry was posted in Uncategorized and tagged al qaeda, al shabaab, Boko Haram, Kenya, mombasa, mombasa bomb, Mwembe Tayari, Nigeria, Somali, South Africa, terrorism, Westgate mall.